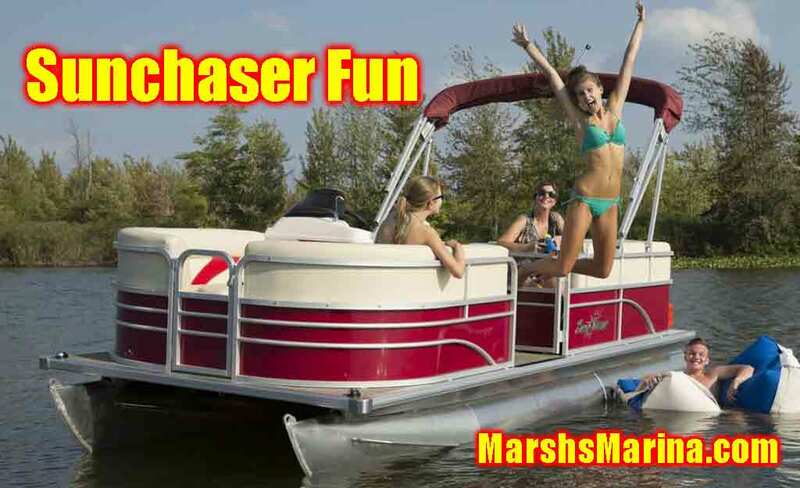 Welcome to SunchaserPontoonBoats.ca - Sunchaser is a Manufacturer of value pontoon boats for the North American market. Classic Cruise, Cruise and Fish, Fish, Oasis and Eclipse models are available for your fun in the sun! Eclipse Pontoon Boats - ​The Sunchaser Eclipse series brings you the style and luxury you want, all at a price you can afford. Superior comfort was in mind when designing these models, with plush furniture and spacious layouts that are sure to leave you impressed. 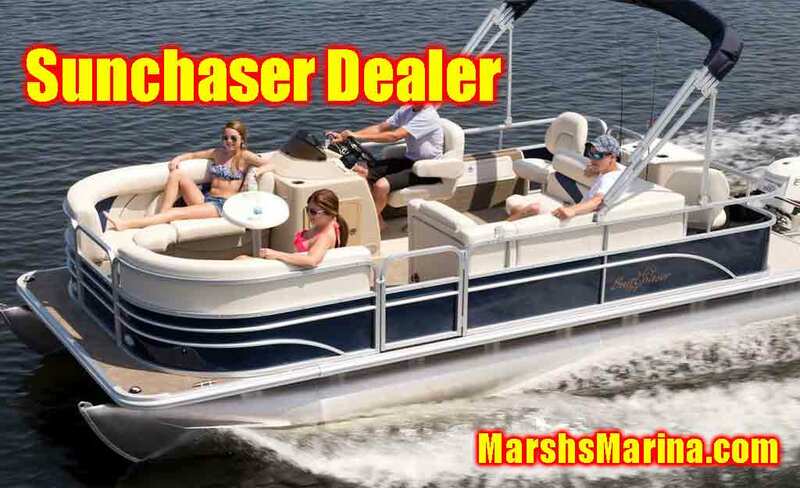 Classic Cruise Pontoon Boats - ​Quality is something we're very familiar with at Sunchaser, that's because we build all of our pontoon boats to the highest of standards, while still keeping them at a price you can afford. The Mirage Cruise series has over a dozen layouts for you to choose from, bringing you the power of choice like never before. DS Pontoon Boats - The highly versatile DS Series features extended decks that are perfect for lounging, diving, or optional fishing seats. All DS pontoon boats offer the X-Treme PR25 Performance Package option for outboards up to a searing 300 HP, so no matter how you customize your pontoon boat, you're in for a treat. At Sunchaser, TRADITION BEGINS WITH THE FAMILY. It all started with our love for being on the water. Ever since the first Starcraft was launched in 1903, our family has expanded its commitment to building great watercraft with exceptional brands like Smoker Craft and Sylvan. It’s a tradition of quality and craftsmanship that can be achieved only through the pride and attention to detail that a family-owned company can provide. Over a century later, we continue to produce some of the best values you’ll find anywhere, like SunChaser pontoons. We invite you to join us — and share in our time-honored family tradition. ​Our Vision Statement is "Our innovative team will provide high quality marine products at the best value to our loyal partners. By delivering outstanding customer service, we will create brand loyalty and a profitable worldwide business". 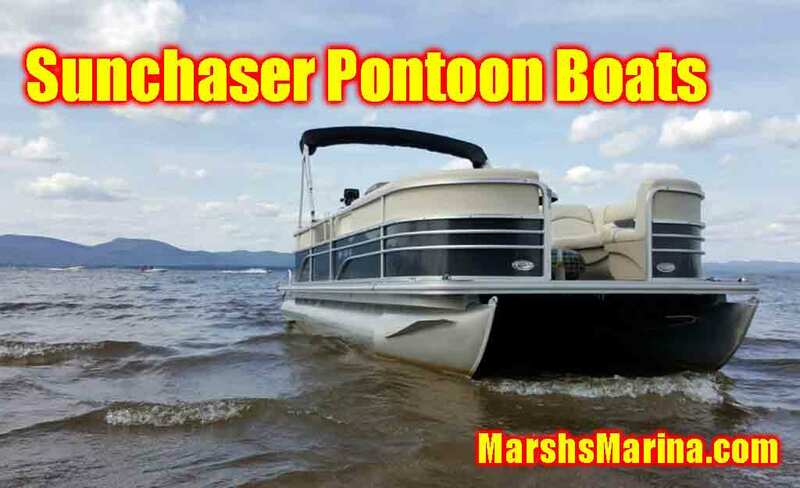 You will wish the ride would never end on a Sunchaser Pontoon Boat. 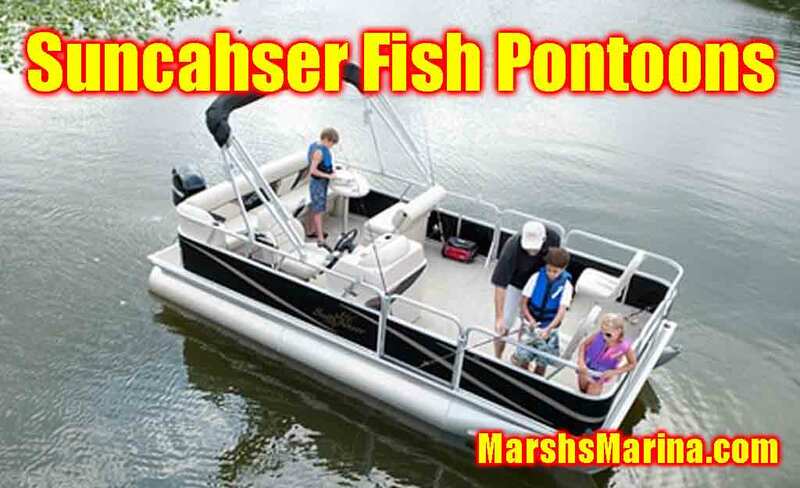 ​Finally, a pontoon that sports the features of high end models but without the high end price. Rounded bows, custom molded dashes, comfortable L-group seating, anodized rails and plush 22-ounce carpet are just the beginning of a long list of features found in the cruise series; and, of course, SunChaser cruise models are so much fun to drive you'll wish the ride would never end. ​A Sunchaser cure for fishing fever. ​It has recently been discovered that if applied liberally, SunChaser 4-Point pontoon boats can completely eliminate the effects of fishing fever. If your family has a case of fishing fever, you'll want to take a close look at this value packed series. Onboard, you'll find features like our comfort-formed fishing seats and reduced height rails which offer total access to the water and make landing your catch a breeze. Fish series pontoon boats have large aerated livewells to keep your catch in prime condition for hours. And for those who have yet to catch the fever, our L-group seating and wide sundecks will keep them comfortable as well.